The monitoring power varies based upon the model type. For example, a PS2500 power analyzer is useful for those who want to have a device with a display directly on the meter and an SD card slot. For those that want more capability, there is the PS3550, which offers a meter display, SD card slot, Bluetooth and USB station, a fully keypad and backlight display, and a THD Harmonics capability. 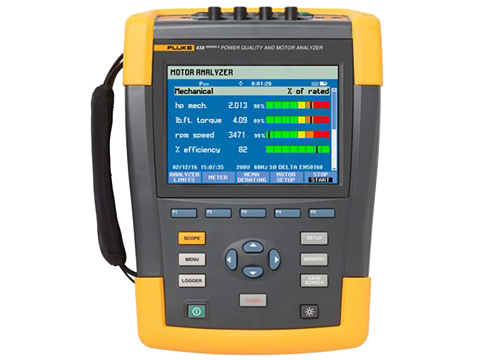 However, for those who want the ultimate power analyzer, there is the PS4550, which offers all of the above capability but also has a swell and dip function, a high-speed transient option and the most accuracy of any model. Various add-ons for the power analyzers are available. One of the things many people fail to realize is that these power analyzers have many add-ons. As if they weren’t great enough by themselves, many of these models can offer extra tools to help you get the job done. For example, the PS4550 has a high-frequency analysis option that can drastically improve your meter. By adding spectrum analysis, you can view extra power-line metrics pertinent to your operation. Another great add-on would be the expanded memory option, which can help you to continue to have solid data logging and updates on the power quality. All-in-all, these tools are definitely an important part of your operation.